Citing tweets of bureaucrats like Amitabh Kant, Varsha Joshi, and others, AAP leader Ashutosh told the media here: "They have been clearly criticising the Delhi government against rules. Why shouldn't action be taken against them?" The Aam Aadmi Party on Wednesday attacked the IAS Association and certain civil servants for what it called "illegally making remarks against the Delhi government" that were against civil service conduct rules. According to the All India Services (Conduct) Rules, 1968, no member of the service can make any statement or fact or opinion, which has the effect of an adverse criticism of any current or recent policy or action of the government or which is capable of embarrassing the relations between the central and state governments. The bureaucrats statements came in the wake of the alleged attack on Delhi Chief Secretary Anshu Prakash on February 19 night at Chief Minister Arvind Kejriwal's residence here in the latter's presence. 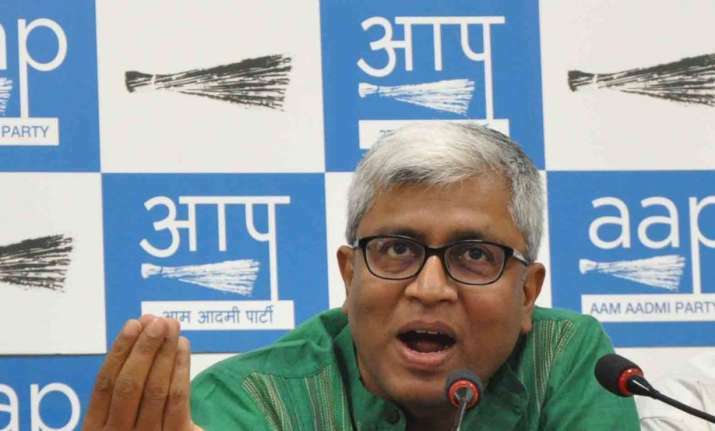 Ashutosh said the bureaucrats didn't condemn the attack on AAP leaders Imran Hussain and Ashish Khetan at the Delhi Secretariat on Tuesday when the Chief Secretary made the attack allegation. "Has any of the senior officers condemned that?" he asked. Last week, the IAS Association said its members will not meet or talk to Ministers or AAP MLAs till Kejriwal apologised for the alleged attack on Anshu Prakash. The top bureaucrat was allegedly assaulted by AAP MLAs Amanatullah Khan and Prakash Jarwal. The AAP leader said the assault case is pending in court and the two accused MLAs are in judicial custody. "Let the court decide. Why aren't these officers working? Under whose influence are they shirking their duties? Pointing out that bureaucrats have been holding press conferences at the Delhi Secretariat, Ashutosh said government offices are meant for work and not making political statements. Hinting at the Bharatiya Janata Party's hand in the IAS Association's protest, Ashutosh demanded that the call details of the senior bureaucrats be made public. The calls should be analysed to find out who is influencing them to go against the state government, he said.